The marathon, a 26.2-mile race, is one of the most rigorous sporting events, revealing the potential power of the human body. So how can runners pick the right race to get the best experience? The sports column and public opinion data center of People's Daily recently published a list of China's top marathons of 2018, based on surveys of runners who answered questions about race events across the country. 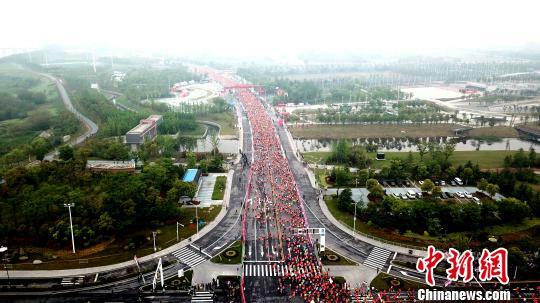 The list names the top 100 marathons out of over 300 that took place in China last year. Rankings were a composite of the degree of professionalism based on participants and awards, the degree of media coverage based on search volume and social media sharing, and the degree of public recognition based on netizens' comments, as well as subjective factors such as atmosphere, excitement and inspiration.